1 Future - The number one seed, his music has been everywhere all year, 56 Nights, Dirty Sprite 2, What A Time to Be Alive, every feature and project he touches goes crazy. 2 Drake - The 6 gawd, Meek Mill destroyer and Hotline Blinger.. could easily be number one. 3 Fetty Wap - Whether you like his music or not, his buzz is undeniable, Fetty Wap has been all over the charts. 4 Kendrick Lamar - Kendrick has been on fire this year and his album TPAB is a piece of art only he could put together, conscious and in your face lyricism not many are putting out right now. 5 Travis Scott - La Flame was buzzing heavy just in anticipation of his album Rodeo and he's been hitting major stages everywhere. 6 Young Thug - The Thugga has been dropping consistent bangers, visuals, and live shows and worked his way into the eyes of the masses while keeping an 'underground' appeal. 7 Big Sean - He dropped his album 'Dark Sky Paradise' earlier this year and many called it the album of 2015. He also dropped several dope videos this year which deserve attention. 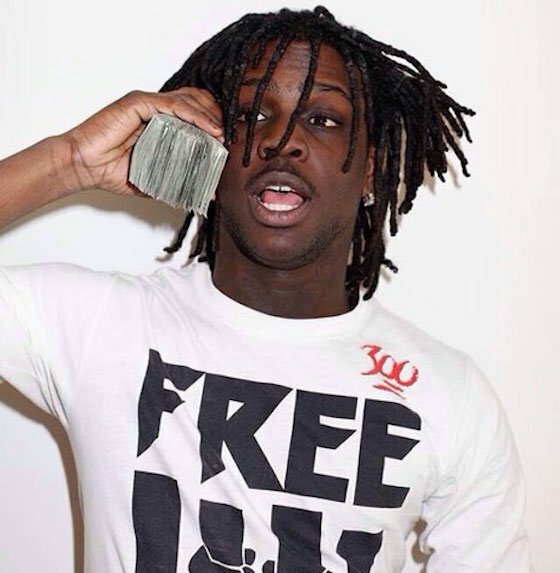 8 Chief Keef - 'Faneto' 'Earned It' 2 songs that have been going crazy along with his consistent projects and improved flow, some may be sleep but Chief Keef is doing his thing right now. Round one went as everyone expected, the higher seeds beating the lower seeds by a considerable margin. The only upset of the first round was Young Thug beating out Fetty Wap to make it to the second round. The closest battle of the entire bracket! What a showdown between 2 of hip hop's juggernauts. It's hard to choose in either direction but I think Drake's battle with Meek Mill is what put him over the top. Not only did Drake drop 2 disses which lead to more memes and disrespect of Meek, but he also dropped his own music. 'IYRTITL' 'WATTABA' and his single 'Hotline Bling' all did crazy numbers. If you manage to seemingly end one rapper's career, while continually to drop hot music yourself, you deserve the title of hottest rapper of the year. Not to mention, Drake has everybody waiting on his upcoming album Views from the 6. If you can learn anything from Drake it would have to be 'Do Right And Kill Everything'. Big ups to Drake, Yesterdays Nothing's hottest rapper of 2015!